Designing a home can get really complicated, especially when you have to decide upon the colour of the walls, along with the type of flooring and not to mention the multiple fabric choices for furniture and accessories that all need to work together! This job will never be easy as you will understandably want to get it right, but to offer a lot of support and a generous helping hand, here’s a list (yes we love lists) of all the trending fabrics and finishes we are obsessed with right now and what to use each trending finish for. Walnut is ‘the’ wood of 2016 and almost every piece of furniture on the high street is currently available in this finish. As a rich, warming yet relatively dark wood, if used in high quantities, walnut furniture sets can often appear to make a room look smaller than it actually is. It is very easy to fall into the trap of adding in the odd extra item of furniture in the latest trending finish, however this will achieve a very vintage, bitty look, perfect if you were hoping to create that feel but not so perfect if you weren’t. For those looking to create a contemporary feel, we suggest giving your home the refresh it deserves and adding in this texture by use of wooden floors. No matter what the room, the wooden floor seems to have overtaken carpet this season and perhaps that is because people have become utterly besotted with a good rug. Often thought of as a very traditional fabric, velvet has officially made its return into the home and is the new obsession for both sofa coverings and the odd occasional chair. A sofa is certainly an investment piece, so our advice would be to only cover your sofa in velvet if you loved the fabric before the trend arrived. An accent chair in either a low or high pile velvet (the difference is high pile crushes over time and changes colour when you rub your hand across it, where as low pile doesn’t) adds a brilliant amount of texture to either the living room or bedroom. Deep purple, teal or a dull burnt orange are the trending colours and if you decide to add a cute chair to your bedroom, why not try adding a velvet trim onto the bottom of your curtains to complete the look. Linen is one of those timeless fabrics and has been trending for what feels like a lifetime. 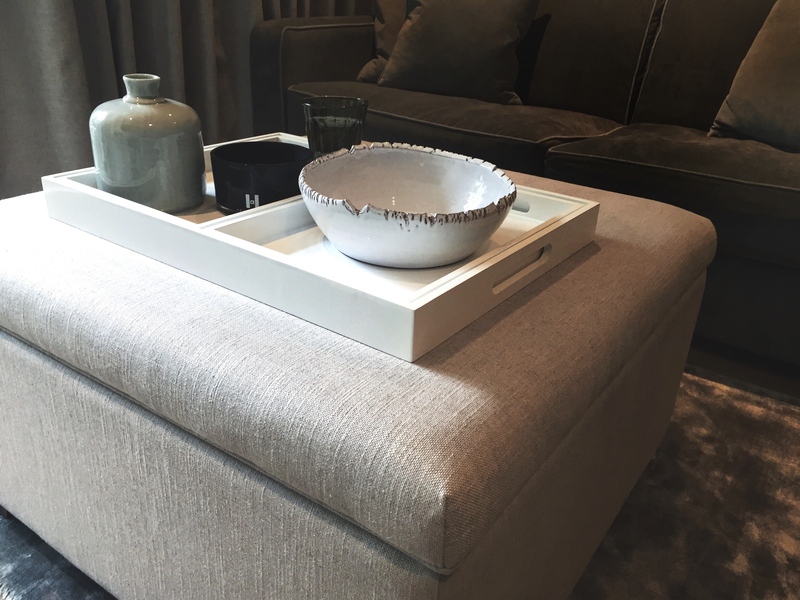 However the craze for this season is to actually have a footstool, upholstered in linen that doubles up as both a coffee table and a storage box. With the ever-decreasing size of houses, we look for storage everywhere we can get it, something we are very passionate about at Furl. 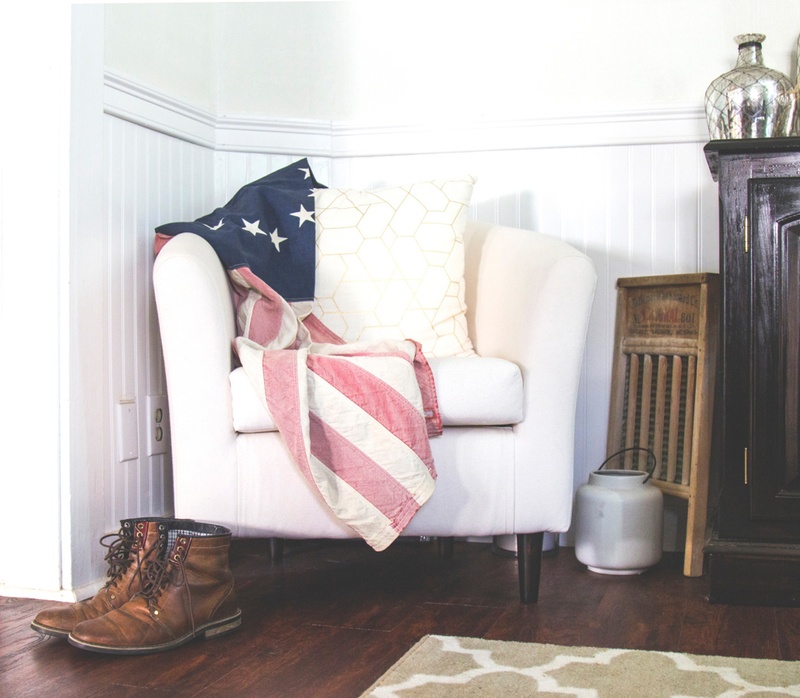 By simply adding a tray to the top of the ottoman box we can turn it into a coffee table, yet with all of the blankets and cushions stored out of the way to allow for more usable space. Who ever would have thought that we would be dashing to the shops for the latest marble topped dining table? However with the increase in obsession with Instagram, (for those who are not in the rat race – the photo sharing app that has got us all signing up to professional photography courses so our photos look the best), the marble top has been an absolute must for a flat lay photo for Instagram. 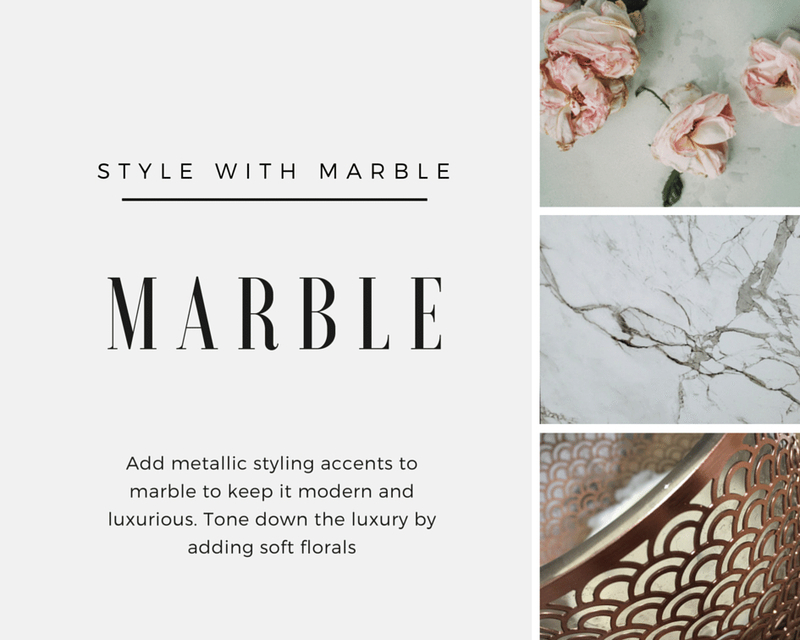 Best suited to a six-seater table, style with metallic accents such as gold charger plates to act as place mats, as this will tone down the marble giving you a contemporary luxurious feel. Leather is a very practical fabric, and so you may find numerous sofas within your home already covered in it. The new trending practice though is to use textures in places that you might not expect them, such as a chest of drawers. Tying in seamlessly with the Walnut trend, we suggest having a walnut frame with leather-fronted drawers to add an extra dimension to your room. So you’re not even into trends – you know what you like and that is that. Well we all envy you, because most of us need the trends to ensure our homes stay fresh and current. Don’t however feel like you need to always follow them. Introduce them into your home only when they fit with the style, and if you do add them in your own way.